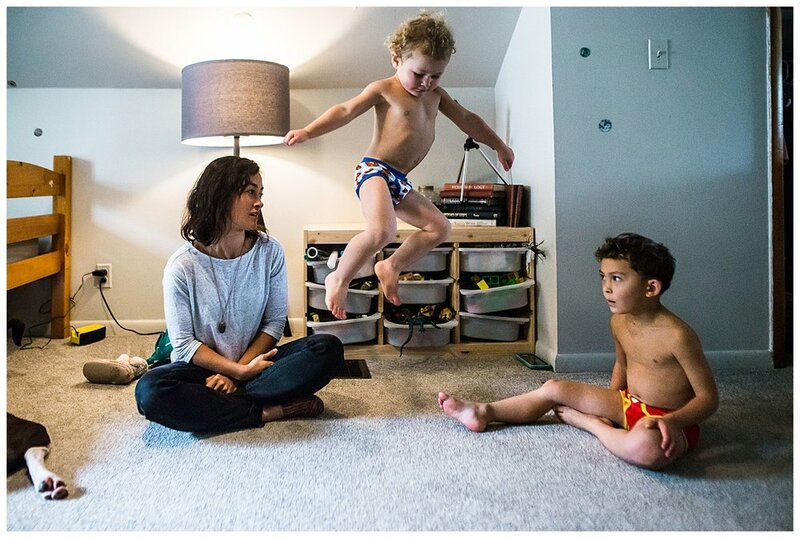 I'm a Grand Rapids, MI photographer specializing in documentary and family photojournalism. I believe in the gift of family life, the power of beauty and the beauty of the raw and ordinary. I am also a birth photographer and film-maker. That work can be found at Sister Birth. 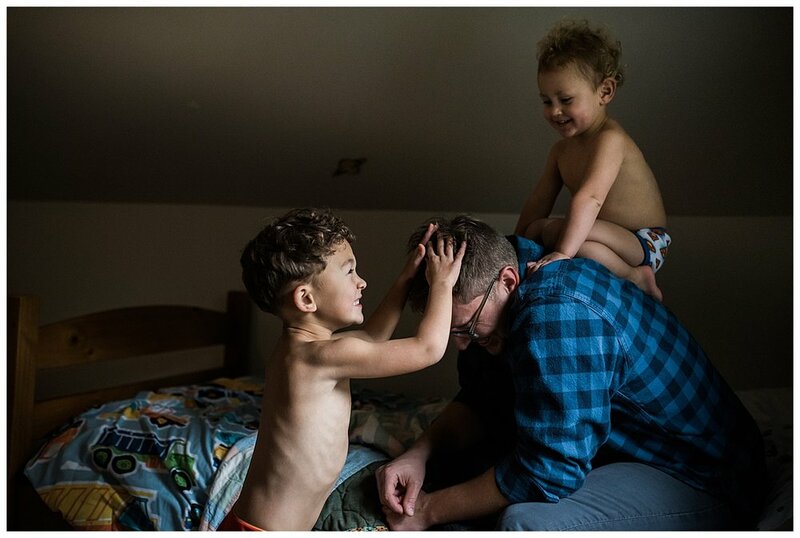 Their gentle, respectful parenting with their boys struck me immediately. 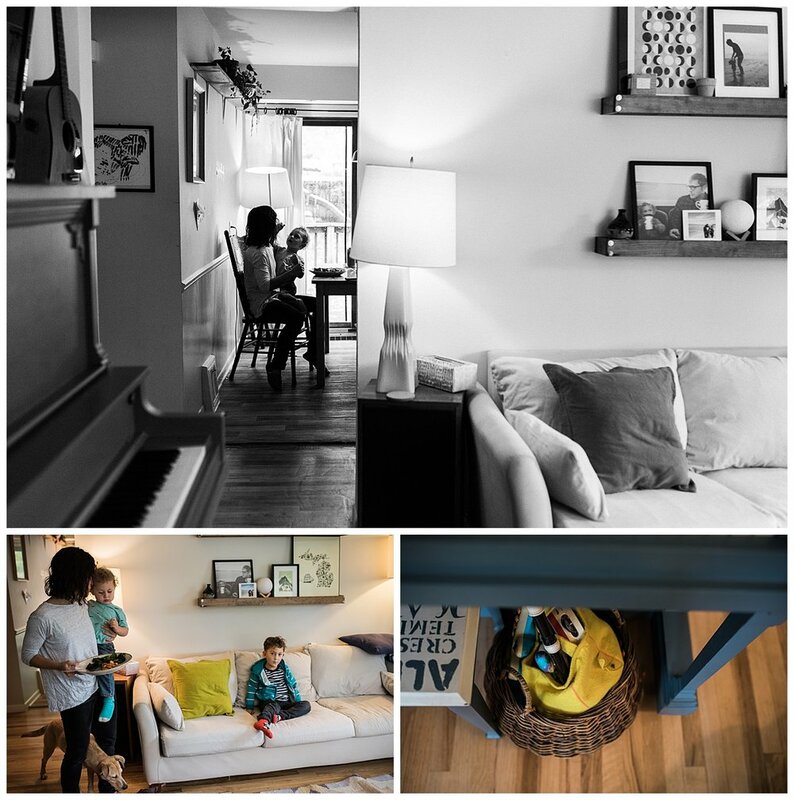 The atmosphere in their home is one that clearly facilitates emotional health, as Meghan and Peter strive to be their best selves: socially conscious, justice-minded, creative, hard-working, and always learning. It seems that their living is an art form, and that contentment informs their joy in the here and now. 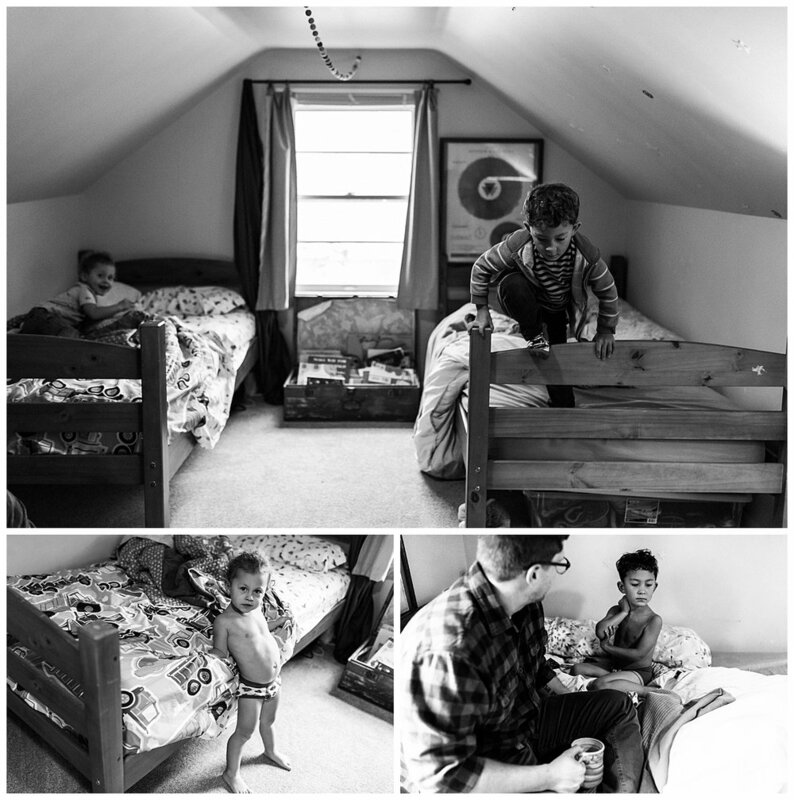 I got to spend a simple, sweet brisk autumn afternoon with them as they spent time in the kitchen, wrestled in the boys’ room and built an amazing marble track, plus all the jumping and snuggling that filled in the cracks between activities. 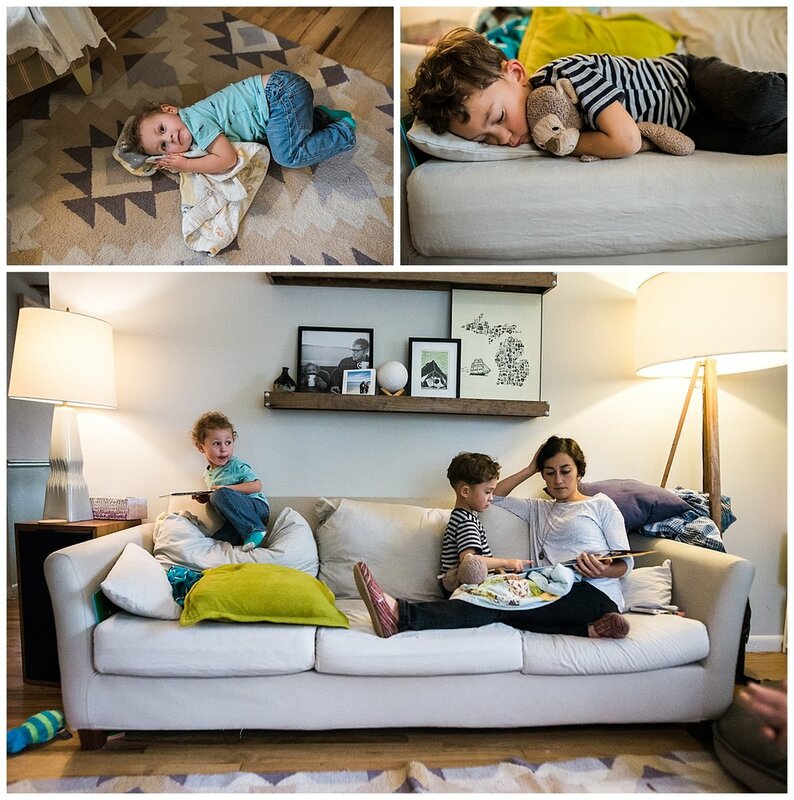 I hope you’ll also be inspired by this glimpse into their family life. And I hope you know, dear reader, that your own family life is just as full of treasure and beauty, and that I’d be so honored to have an opportunity to show you that through my camera’s eye. 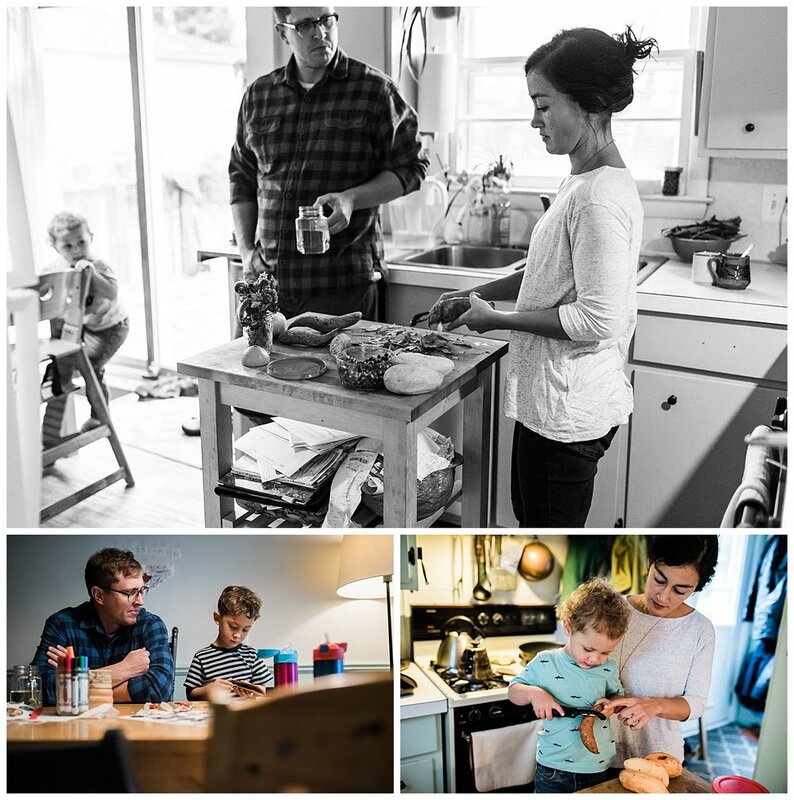 Read more about family photojournalism sessions and then reach out to book your own in-home documentary photography session with me.